Apologies for not posting an account earlier of the Big Dig that took place in August this year but the findings have thrown up more questions than there are answers to. This year's dig was on a much more professional footing with a proper Project Design in place. Using the findings from last year i.e. the ornamental bridge it was theoretically possible to mark out the site of the L-shaped building and thus site our 5 m x 2 m trench more accurately. The small square 'building' bottom right showed itself to be the ornamental bridge in 2013. 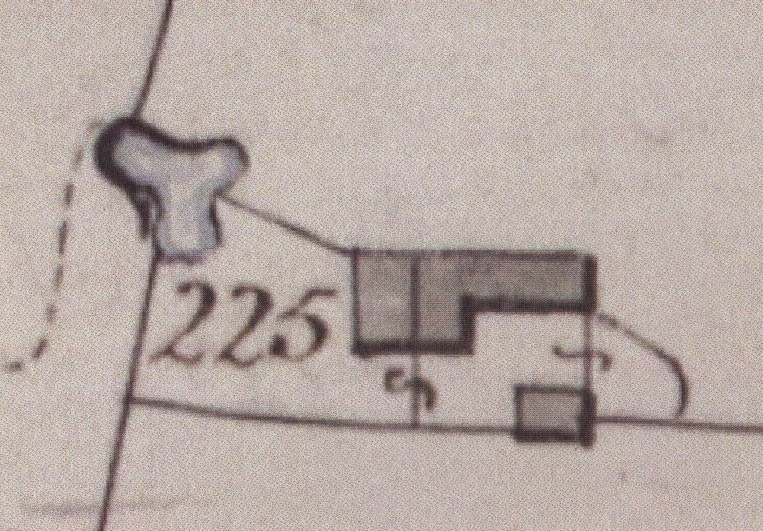 Knowing the dimensions and position it was theoretically possible to find the location of the larger building. Using surveyors tapes and a laser level the outline of the larger building was plotted. In this way it was hoped to be able to position our trench over the larger end of the building, if possible across the wall. 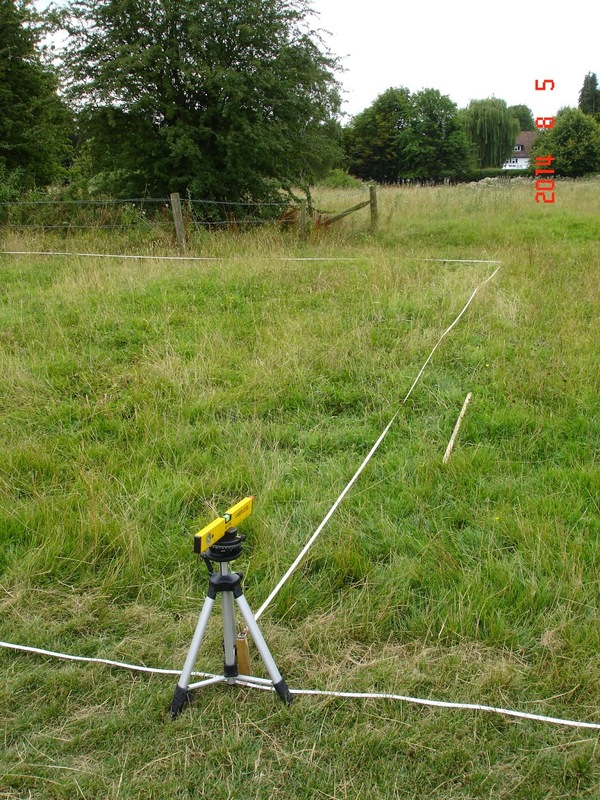 The other information that was used was to take so samples 20 cm down at the supposed depth of the archaeological deposit. These were tested for phosphate as the presence of this compound is always linked with occupation or animal husbandry. The two darker blue samples on the left indicate a high level of phosphate and came from two places within the proposed trench area. The much paler blue samples on the right were taken from areas adjacent to but away from the site on the North and West sides. The show what may be considered to be an "background" phosphate level. With this evidence the site of the 5m x 2m trench was fixed. The area was then mown by contractors and the turf removed using a turf stripping machine. The turf was carefully rolled up and covered in polythene sheeting to keep it in good condition for relaying.